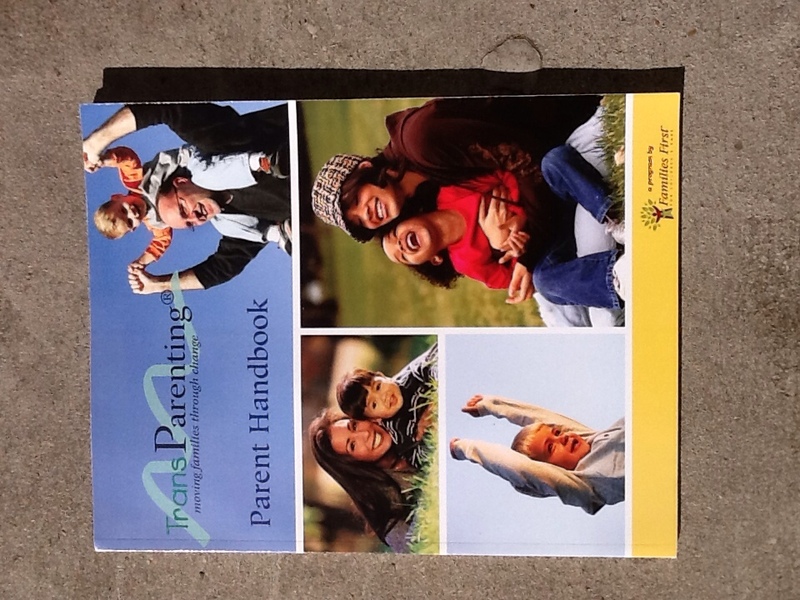 TransParenting Parent Handbook for Divorcing Parents - A Book Review | How Do You Do It? Divorce isn’t the ideal topic for Valentine’s Day, but we can’t avoid it when we’re talking about marriage and children. Sadly, divorce rates being as high as they are, single parenthood after divorce is a reality for many of us. We have to figure out how to put our children’s interests first even as we try to manage the certain heartbreak that comes with the end of a relationship that was supposed to last a lifetime. Almost related tidbit: It seems that our longer lives may be partly to blame for our high divorce rates. When my ex-husband chose to leave our marriage, we took a single session TransParenting® class specifically designed for divorcing parents. I believe it was a prerequisite for our divorce being finalized, although I confess that I told my ex that if he wanted out, he was going to have to be the one to do the associated grunt work. I’m therefore not certain whether it was required or just recommended. He signed us up for the class and I showed up and participated. I was interested to find that there were only two “couples” there. Everyone else had elected to show up at a different session than with their soon-to-be-ex. I definitely found that being there together, asking questions in the common interests of our daughters, was a very positive and helpful experience. I imagine it wouldn’t be in more bitter divorces. I got a lot out of the class and have referred back to the concepts I learned time and time again. 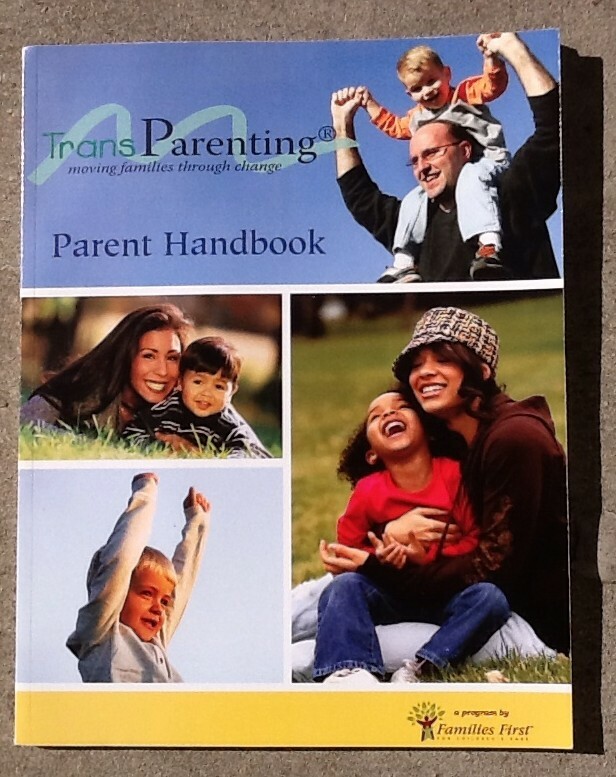 The TransParenting® Parent Handbook they gave us has sat on my bookshelf. I’ve glanced at it from time to time when needing to remember why I need to be nice about my ex when I don’t feel like he’s acting in the kids’ best interest but admittedly, I only looked at it closely for this review. Before referring to the book for this review, I jotted down the ideas that I’m pretty sure I took from this class and have applied in my daily parenting. I figure it’ll help give you an idea of the sorts of advice given. Never badmouth my ex in front of the kids. It will only serve to hurt them and will do nothing to help me or “punish” my ex-husband. Find ways to be positive about my ex-husband around the kids. Don’t let any bitterness from the divorce sour the good memories. Do not bring up money issues related to the divorce in front of the children. They have enough heartbreak to deal with without adding in financial concerns. One day, they’ll be old enough to realize that our divorce was a financial blow to our family. While they’re little, though, I should do everything in my power to protect them from that knowledge. Take my time to be single. If I do date, I should be very slow and very careful to introduce a new partner into the children’s lives. When my ex dates again, I should be supportive of a healthy role for his new partner in our children’s lives. Never ever ever put the children in the position of choosing between me and Daddy. We’re divorcing each other, not the children. We can be co-parents without being spouses. No matter how bright my kids are, they will blame themselves for the divorce. I need to remind them regularly and consistently that it is not. No matter how understanding my kids are, they will want Mommy and Daddy to get back together. I must be firm in telling them that that will never happen. On the back cover of the book is what boils down to the core philosophies of the class, all designed to make a difficult situation as nurturing as possible for children. Learn about emotional reactions to divorce. Learn what to expect from family and friends. Learn positive and negative consequences of the changes in your living situation. Learn a parenting approach that will benefit your children. 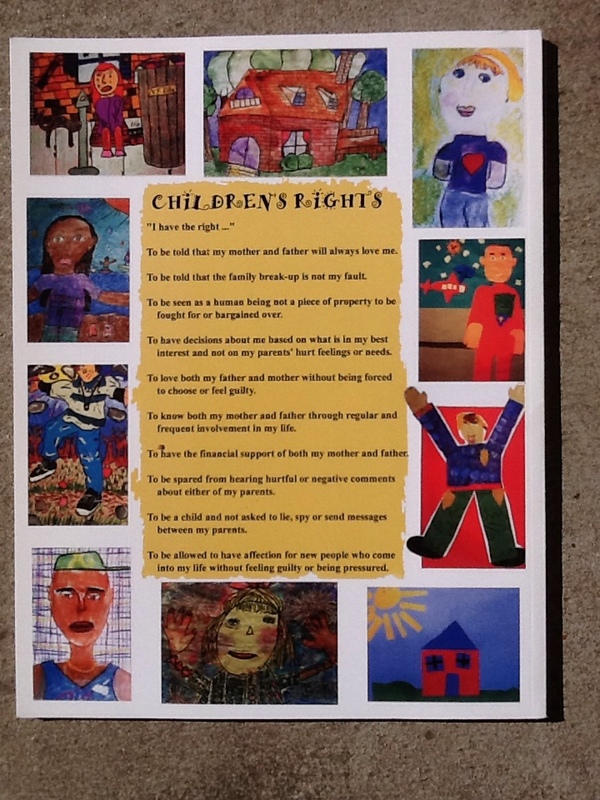 Receive guidelines for talking to children about the divorce. 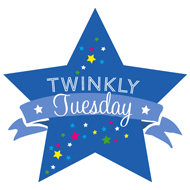 Learn ways to help you children through their difficult emotions and the change in their living situations. Learn about new family structures and the role of the stepparent. Receive lists of resources where you can seek additional information. I especially appreciated the practical approach of the book. I had been completely caught up in the emotional fallout of getting divorced and hadn’t much thought about financial and custodial matters. I still probably didn’t put as much thought and effort into those things in the run-up to the divorce as I should have. We didn’t hire separate lawyers; I gave my ex the marital home for the sake of simplicity, forsaking my share of the equity; I didn’t get all our financial expectations written into the divorce decree, instead trusting my ex to continue to contribute to our kids’ expenses; he, for his part, gave me effectively full custody. Still, being forced to think about the financial reality of going down to one income and realizing that we would have to continue to have a financial relationship until the kids were 18 was a dearly needed wakeup call. I think that a huge part of my ability to take my daughters’ ex-stepmother in stride was due to this class and book. It set my expectation that there would be a stepmother in my children’s life and allowed me to prepare for it before the divorce was even final. That, alone, was worth having the book on hand to refer to. Naïvely, I expected the lessons and agreements of the class to continue for the remainder of our children’s childhoods. Unfortunately, that hasn’t been the case. 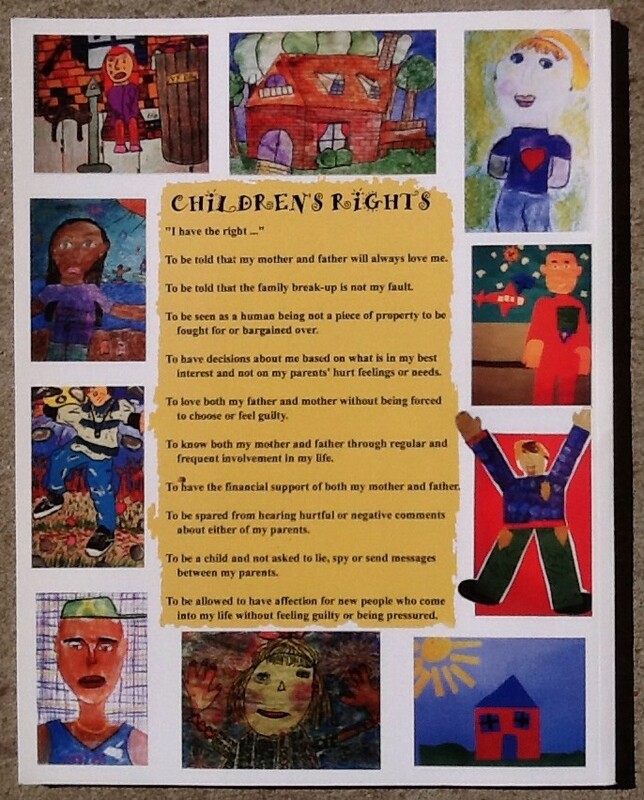 Still, holding up my end of the deal to respect the children’s rights laid out by the TransParenting® program has been instrumental in making sure that my kids have been doing okay through the last couple of years of turmoil. Question for other divorced parents: Did you do anything to prepare for parenting after divorce? Great review, Sadia. Just bought this book from Amazon. Yikes!. Should have been posted on Sadia’s marriage book.